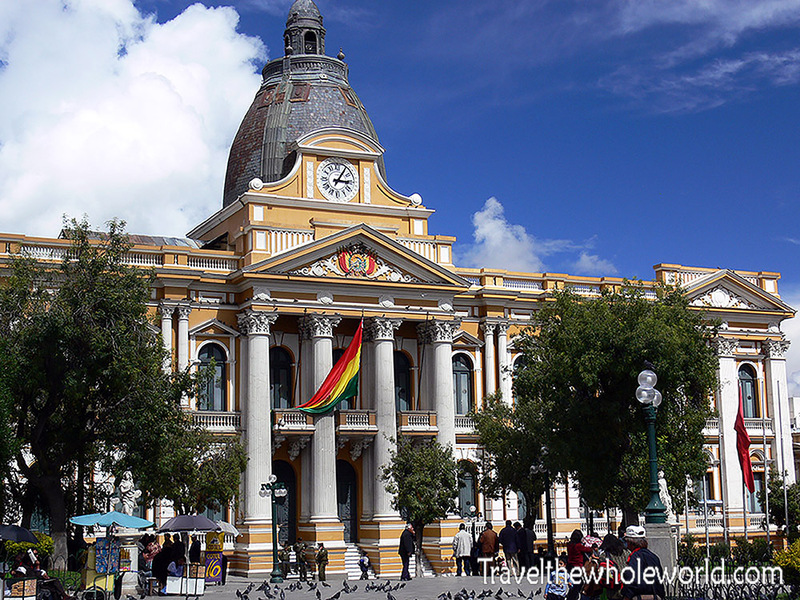 After spending almost a month in Chile and Argentina, I arrived to the capital of Bolivia La Paz, and what a culture shock! In Chile and Argentina, both the locals and parts of the cities themselves could pass for European. After arriving in La Paz I thought to myself, “I’m back in South America!”. 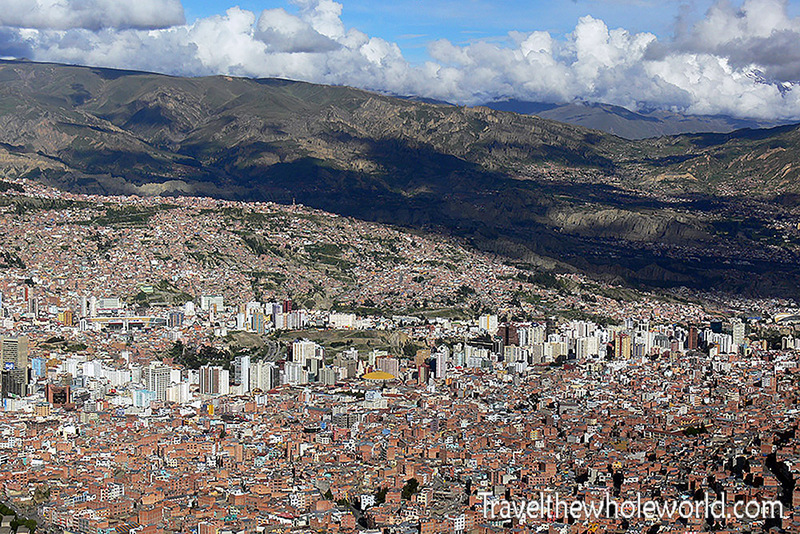 La Paz is one of the most unique cities in the western hemisphere. It’s built high up in the Andes with parts of the city reaching 12,000 feet (3,700 meters). Out of the nearly 200 countries that exist, La Paz is the highest capital in the world. Above and below are some shots of the city taken from some high ground. 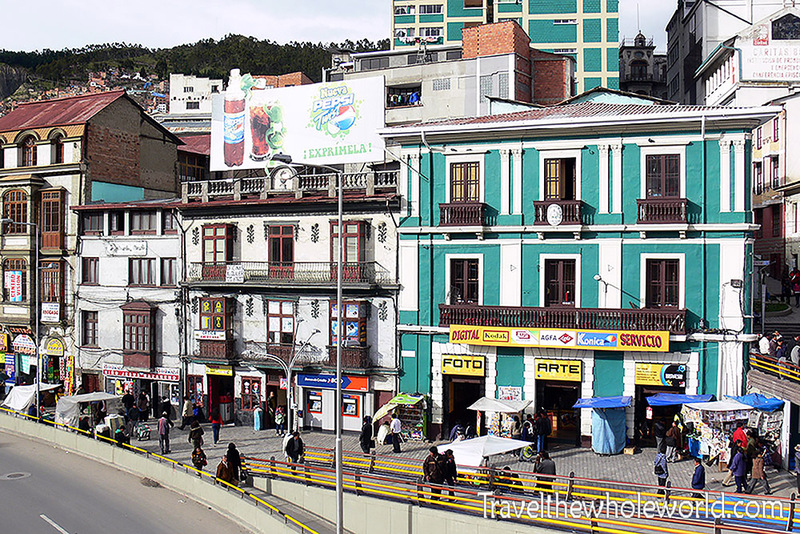 La Paz has a beautiful downtown with a city square, some classy restaurants, and plenty of nightlife. 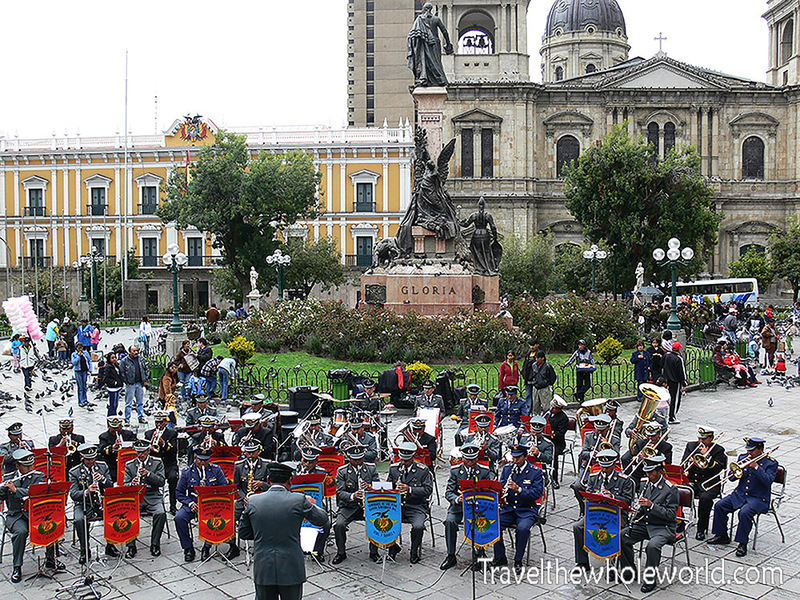 The photo above shows the country’s parliament building located in the heart of the capital, below in the city square is a Bolivian Band. I visited La Paz in my 20’s so I wasn’t appreciative of fancy restaurants back then. I did at least recognize this as likely one of the nicest places to dine in La Paz so I took its photo. I’d say La Paz is one of my favorite cities in South America, so if and when I return I’ll make it a point to have dinner here! 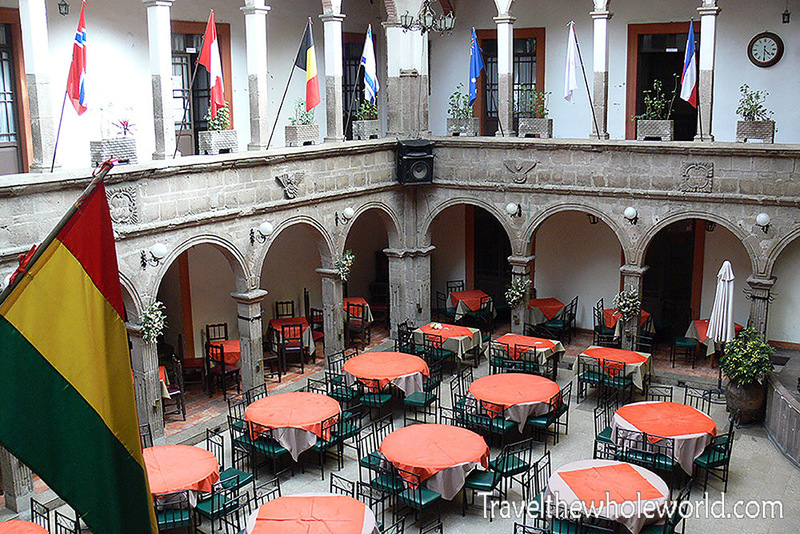 Another reason I didn’t do any fancy dining was I was traveling alone in Bolivia. I stayed in a cheaper hostel to save cash like most younger travelers. 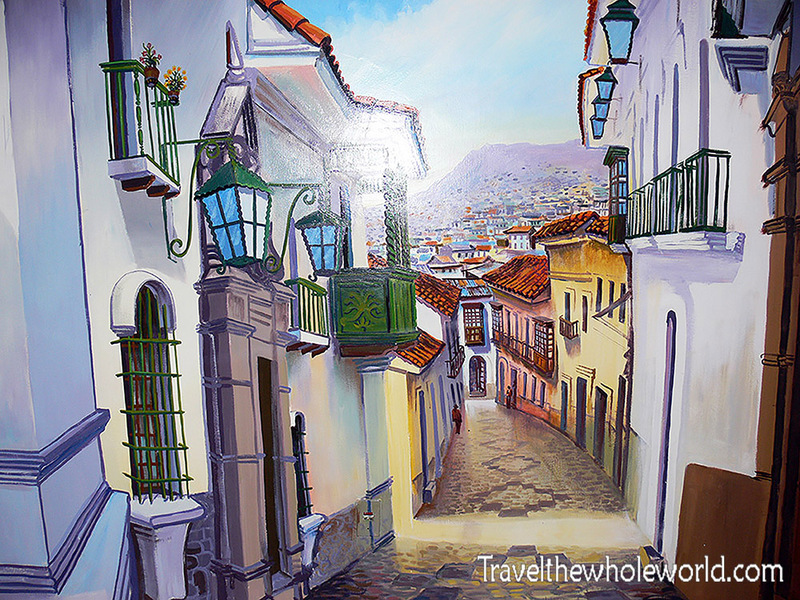 My hostel had a mural of the streets in La Paz photographed above. I always like to share these because it shows how the natives view their own city. Bolivia is the only country in the Western Hemisphere where the natives are the majority of the population. With such strong Native American culture and a mix of Spanish influences, I found La Paz to be a very unique city. The street above is known as the witches way. The market here is full of things ranging from souvenirs to mummified animals. I wish I had taken some more detailed photos of the market because it’s definitely one of the most unique mountains in the continent. 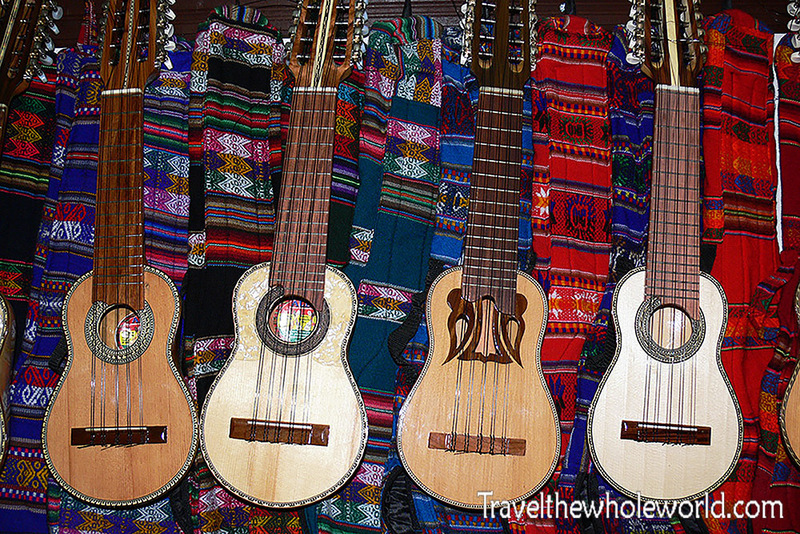 Below is a photo I took that shows some of the native Bolivian guitars. 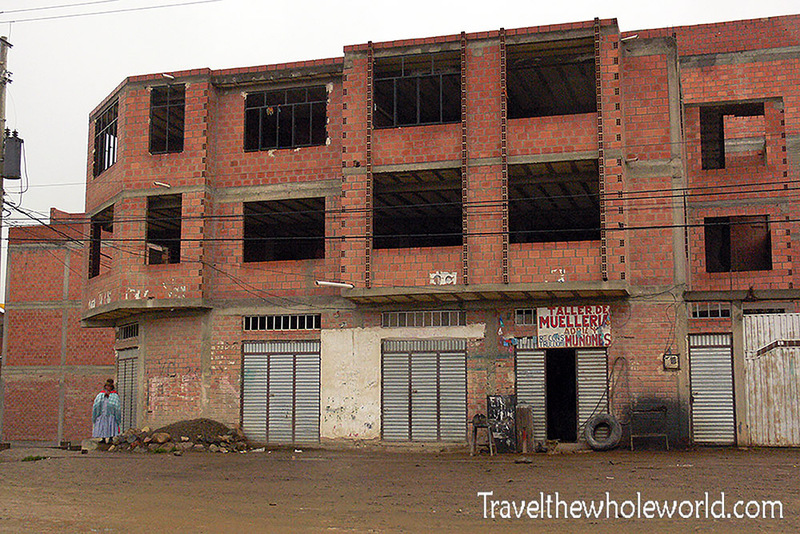 While the downtown areas of the city are well kept, some parts of La Paz look pretty sketchy. 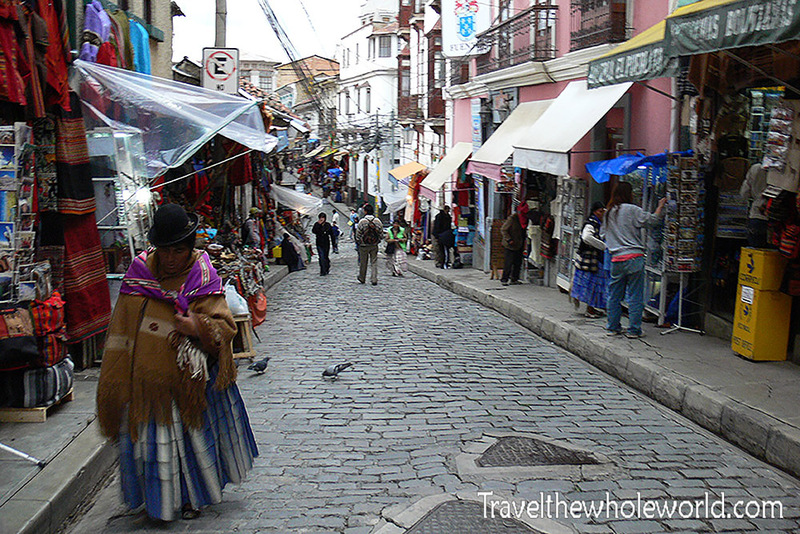 Like most cities in South America, La Paz is considered to have high crime, but as a traveler its usually easy to avoid problems. This guy above might look pretty sketchy, and there are actually a lot of his kind walking around. I wondered if they might be part of some gang or something, but later I found out that they actually humble shoe polishers! 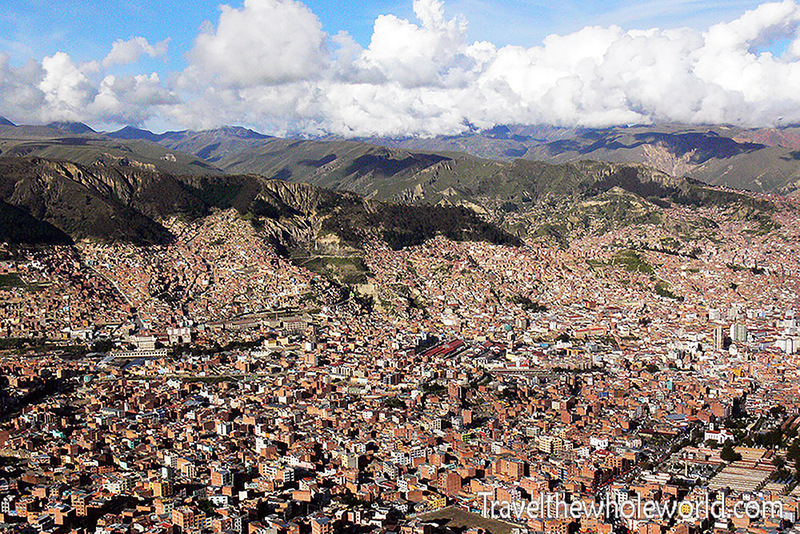 The portion of La Paz located at the higher altitudes is known as Alto and is the poorer area of the city. The surrounding photos are all from the upper parts of La Paz. There are markets and main streets with lots of shops that look much better than the photos I took, but it’s definitely the lower class area of the city. Once I was taking a taxi and when we passed through this area the driver pulled over and stopped for no reason. I waited and after a minute I asked what was wrong and he then went into convulsions and slumped over with blood and mucus running out of his mouth. I seriously thought the guy had died and ran out of the car trying to get help. No one knew the phone number for the ambulance so finally some other man drove the car to the hospital. After several hours he ended up being okay and was able to talk again, but that was one of the nastiest things I have ever seen. I don’t speak Spanish well so I never knew exactly what had happened to him, other than that he survived. With La Paz being the highest capital in the world, it’s common sense that immediately outside the capital are also some of the highest mountains in the world. Although the Andes can never compete with the Himalayas 7,000 and 8,000 meter peaks, the Andes boast several mountains above 6,000 meters (20,000 feet). 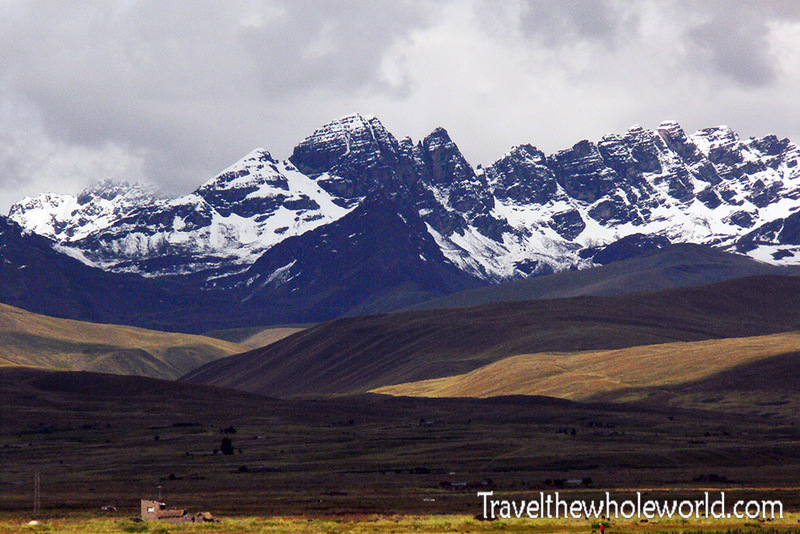 Some of Bolivia’s mountains even top 21,000 feet (6,400 meters) offering some serious mountain climbing. Above is a photo of some of their mountains that are probably in the 5,000 meter range and visible right outside La Paz. 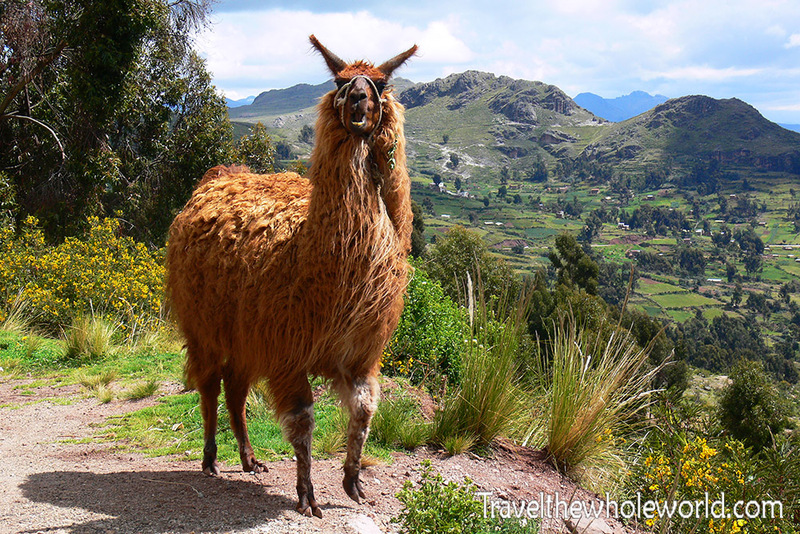 Below is one of the most famous high altitude animals, the llama. In altitudes above 12,000 feet (3,700 meters), it never really gets too hot, but definitely can get cold. 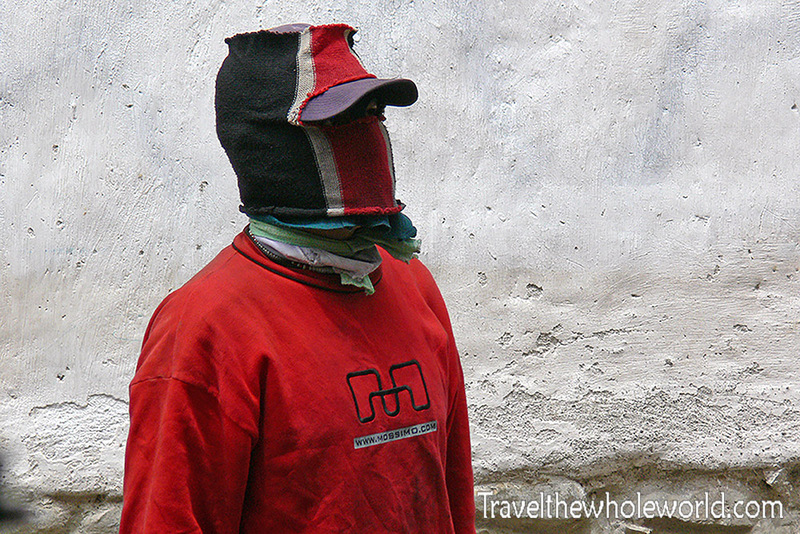 Coping with the cooler weather is done by wearing several layers of traditional quilts, and the natives also chew on coca leaves or drink coca tea to help with the effects of the high altitude. South American natives are famous for chewing on coca leaves as they walk through the cities or the mountains of the Andes. 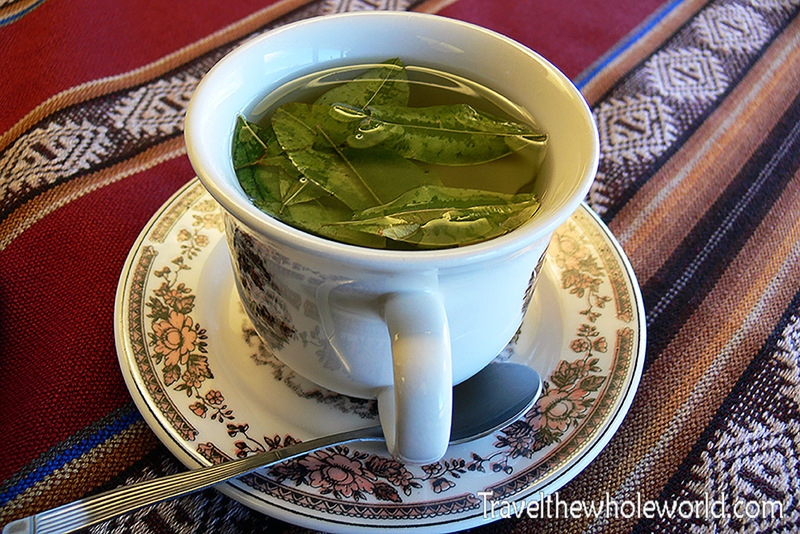 Coca tea is popular all over La Paz and the entire Andes region. 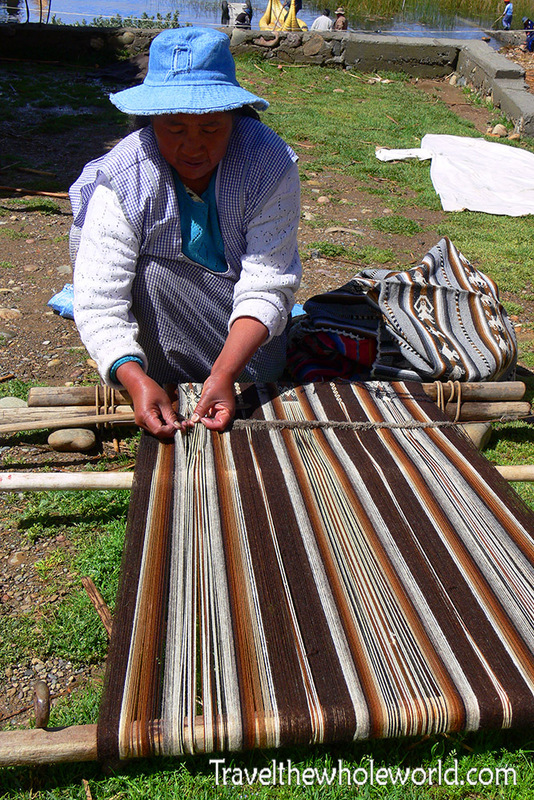 The woman below demonstrates how local clothing is made.